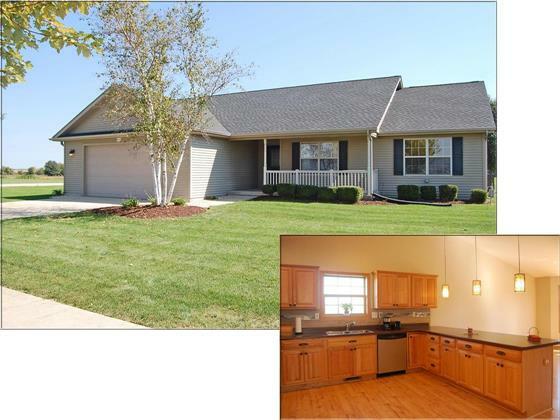 RANCH HOME WITH 4 BEDROOMS (3 up and 1 down) AND FINISHED BASEMENT. Master bath with separate shower/jetted tub and dual sinks. Vaulted ceilings and fireplace in living room. Basement finishes include full bath, large rec room area, bedroom 4, office and bar with barn doors (we love those!). New carpet in main floor bedrooms and freshly painted. Paver patio with built in fireplace. Situated on a corner lot near pond and walking path.